ST. GEORGE – No. 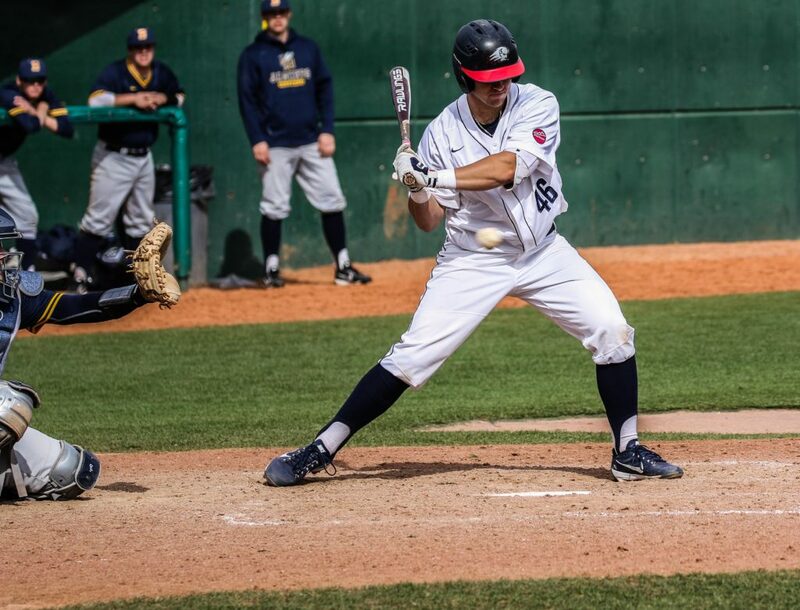 15 Dixie State rallied from an early four-run deficit on the strength of four home runs to post a 12-8 come-from-behind victory over Montana State Billings Saturday afternoon at Bruce Hurst Field. 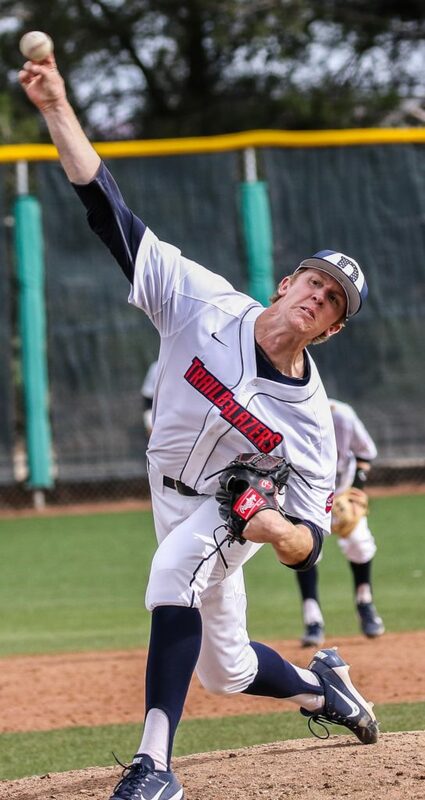 MSU-Billings, which was limited to three hits in the series opener Friday night, erupted for nine hits and seven runs over the first three innings to race out to a 7-3 lead Saturday. The Yellowjackets hit three home runs over that stretch, including two off the bat of Caje Golden, in taking early control of the game. 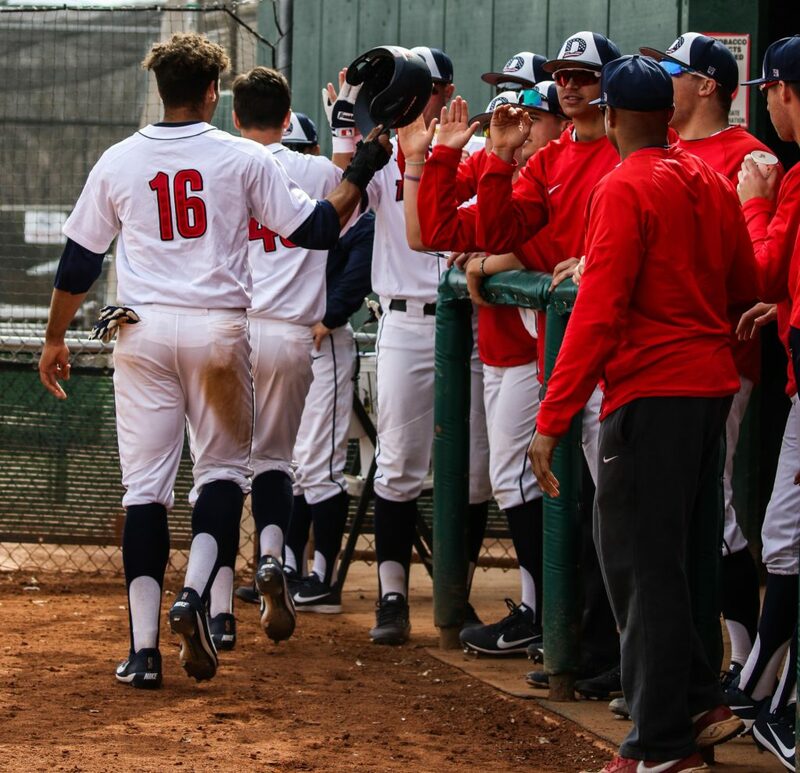 Dixie State started the rally in the home half of the fourth with three runs coming via the long ball, the first coming on a Reece Lucero opposite-field solo homer to right field. Then, after a Bryce Feist single, Drew McLaughlin connected for a towering two-run home run to left to pull DSU to within a run at 7-6. 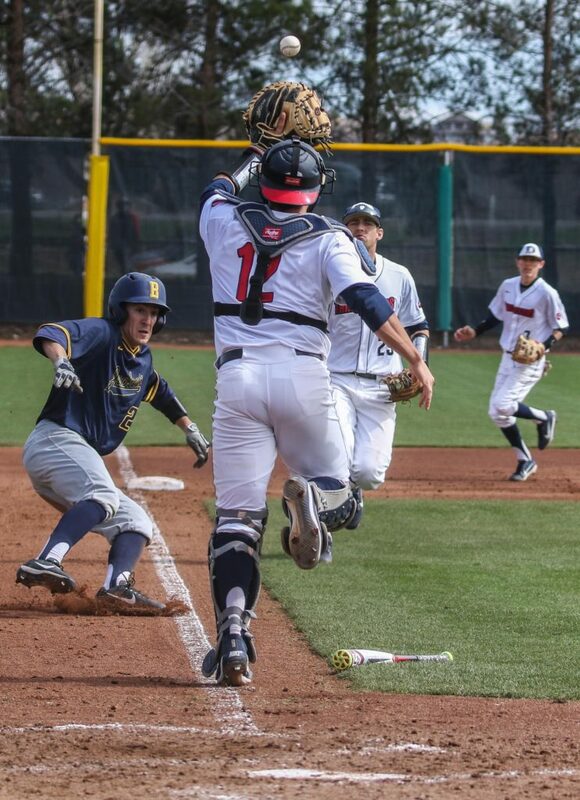 Lucero struck again to lead off the sixth inning as he pounced on the first pitch he saw for his second round-tripper on the day to knot the score at 7-7. 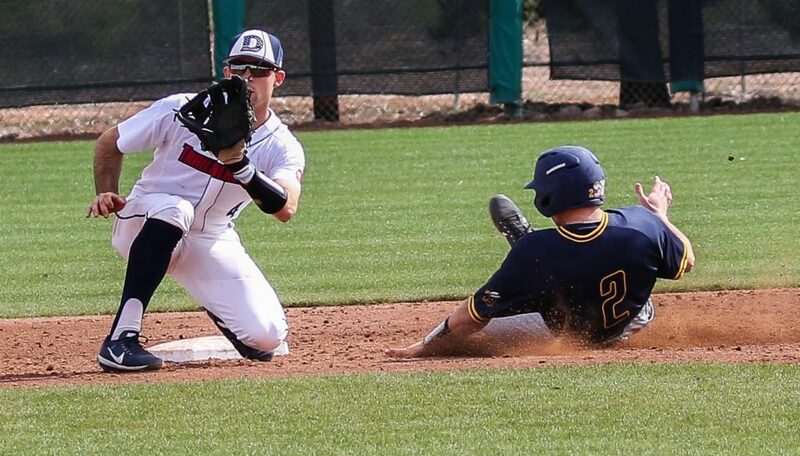 Following a Tyler Mildenberg walk and a Trey Kamachi single that advanced Mildenberg to third, the base-running duo pulled off a double steal which gave DSU its first lead of the game at 8-7. The Trailblazers padded their new lead three pitches later when Logan Porter turned around a 3-1 pitch and deposited it over the left-field wall to stake DSU to a 10-7 lead. 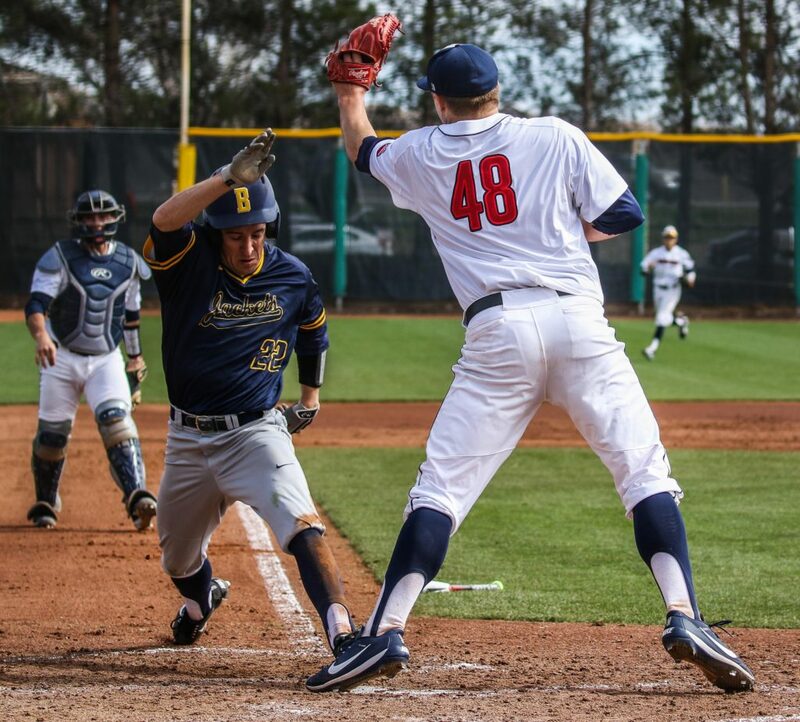 DSU would take on a pair of insurance runs in the seventh and eighth innings, while the four Trailblazer relievers combined to limit MSUB to just three hits and one run over the final five innings to close out DSU’s fifth-straight win. Seven of DSU’s nine starting hitters in the lineup each collected two hits as the Trailblazers outhit MSUB 15-12, while Lucero, McLaughlin and Porter finished with two RBI apiece. Senior reliever Sean Hardman (W, 1-0) struck out one in a scoreless sixth inning to pick up the win out of the Trailblazer bullpen. The Blazers have won five in a row and move to 10-3 overall. 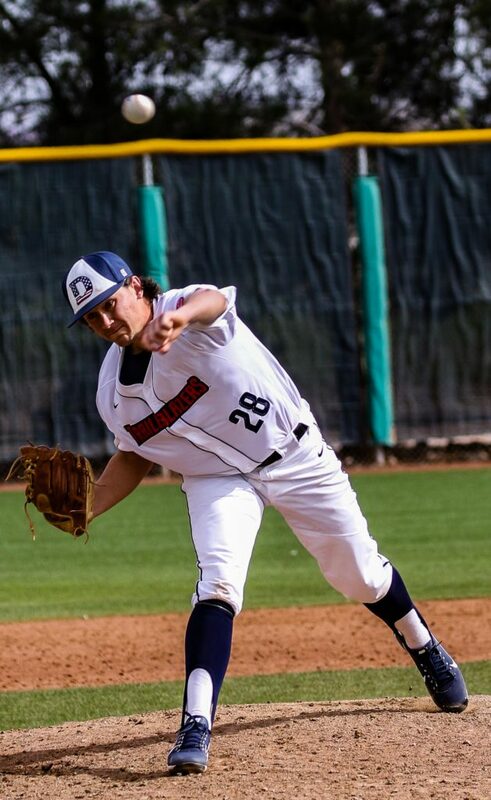 Dixie State will go for the series sweep as the two teams wrap up their three-game weekend series Sunday at noon at Bruce Hurst Field.